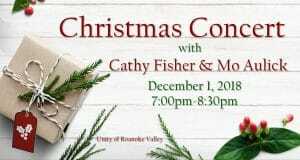 Join Cathy and Mo for a Christmas celebration! They will perform a variety of Christmas favorites plus a sing-a-long. 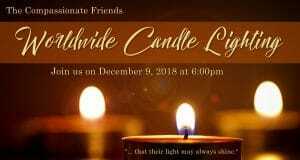 Join us on Sunday, December 9, 2018, at 6:00pm for the 22nd Annual Worldwide Candle Lighting. This is a very special and moving event, which unites family and friends around the globe in lighting candles for one hour to honor the memories of the sons, daughters, brothers, sisters, and grandchildren who left too soon. During the memorial, there will be time to share a special song, poem, or memory, plus memory tables to share picture(s) and mementos of your loved one(s). Light refreshments follow the memorial (please bring a favorite dish, snack, or dessert in memory of your loved one). Parents, grandparents, siblings, and other family members and friends are all welcome to participate. Our service is nondenominational and open to the public. 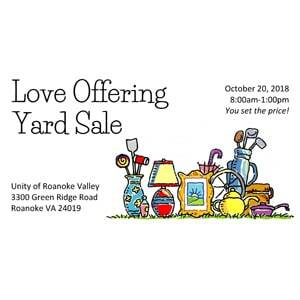 Are you looking for a fun and rewarding way to be more involved with Unity of Roanoke Valley? Nominations for 2019 Board of Directors are now open for three year terms. You can self nominate or nominate someone else, with their permission. Just fill out a form which are located in Fellowship Hall. Nominations close Sunday, November 4th. The election is during our annual meeting which will be held on January 27, 2019. Join us in a tangible demonstration God’s love to children in need around the world as we support the Samaritan’s Purse project Operation Christmas Child. This project sends shoebox gifts around the world to children who have little or nothing. For many children, this will be the first gift they have ever received. These boxes are filled with fun toys, school supplies, and hygiene items. 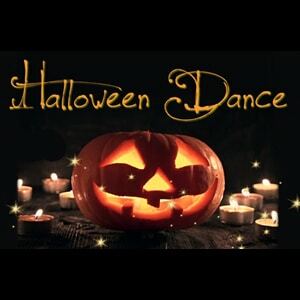 Pick up a form with instructions from the Fellowship Hall. Follow the instructions and enjoy filling a shoebox with surprises for a young one. Deliver your filled shoebox to Unity by November 18th. 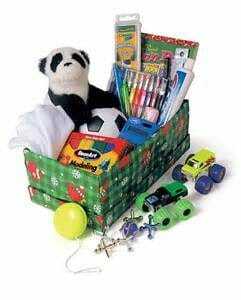 Participants are also asked to donate $9 per shoebox to help with shipping and handling costs. For further information contact Bob Pfoutz at 540-420-9519 or email him at bpfoutz@aol.com. There are three opportunities to experience this amazing duo! Your first chance to experience them will be at Sunday Services on October 7. 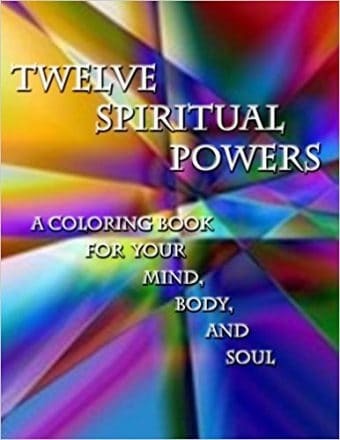 Each attendee will experience a full body healing experience as Angelina places her Angel Harp on each of you while playing sacred tones into your body. Armand will add Native American Flute, Shanti Bells and other magical sounds to enhance your experience. 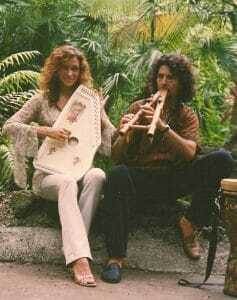 International performers and recording artists, Armand and Angelina have been living their dream together since 2001. They offer a fantastic, uplifting show, full of humor, passion for life and love for each other. Their music is a unique blend of rock and opera incorporating Native American flute. 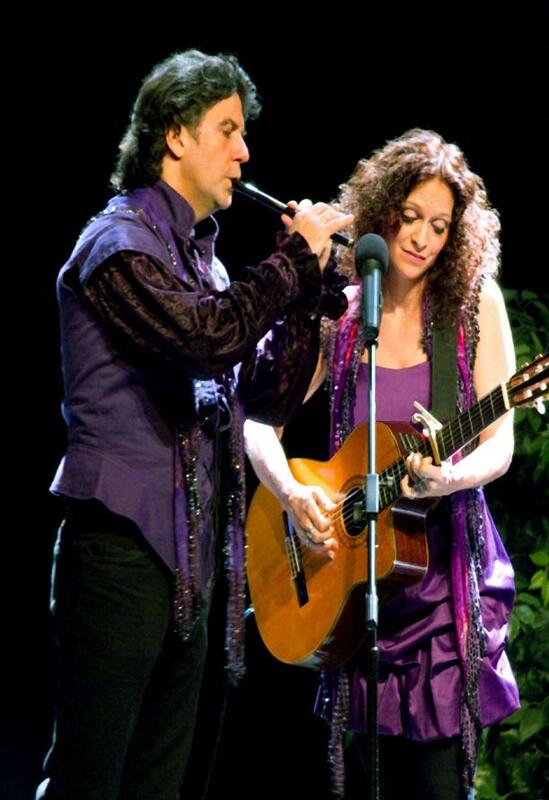 Armand and Angelina will perform their versions of Hallelujah, Age of Aquarius, songs from Phantom of the Opera plus their own original love ballads and humorous songs. It’s been coined a variety show because their performance is filled with music, comedy, dance and more. Come see them and learn a new twist on giving and receiving. They love giving away stuff! Armand and Angelina deliver a show like no other!